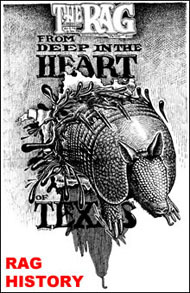 ← ELECTION 2012 / Katherine Haenschen : Thank you, John Cornyn! The grizzled Ken Stott played the older Rebus. 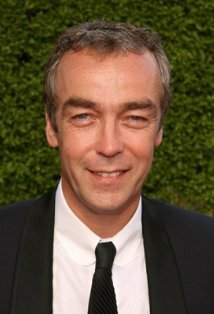 The earlier shows featured John Hannah (inset photo below). 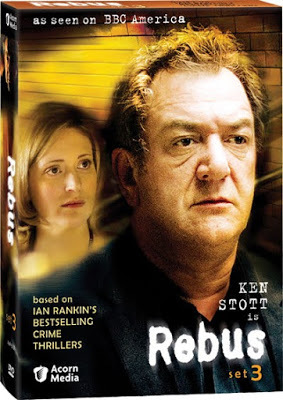 Rebus is an excellent Scottish TV series based on Ian Rankin’s outstanding mystery-crime novels. Fourteen episodes of this fine Edinburgh cop show aired from 2000-2007. Scotland has produced an outstanding literary genre called “Tartan Noir” with crime novels from 13 Hibernian writers. New books by the two most prominent of them, Ian Rankin and Val McDermid, usually top the British bestseller lists. McDermid’s wonderful Tony Hill series inspired the outstanding 2002-2008 British TV series Wire in the Blood (whose 23 gripping episodes, starring the terrific Robson Green, are all also available on Netflix and Netflix Instant). Since 1987, Ian Rankin has written 25 pulse-pounding police mysteries — 18 of them featuring Edinburgh Inspector John Rebus. 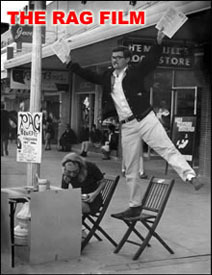 They have inspired the 14 episodes of Rebus that have aired on worldwide television from 2000 to 2007 (with others possibly to follow in coming years). The first four episodes starred handsome, gifted young Scottish actor John Hannah, and as the Rebus character aged, the next 10 were toplined by grizzled, extremely talented Ken Stott. I strongly recommend all these episodes (and the Wire in the Blood ones), although I will admit that they are pretty dark and some of the crimes are rather creepy. Critics loved the books and the series, and more than 93.9% of viewers who rated Rebus at Internet Movie Database gave it thumbs-up, while 19.1% gave it a perfect 10. Rankin’s books have won the prestigious Edgar and Diamond Dagger awards as well as major honors in France, Germany, and Denmark. They have been translated into 22 languages and are bestsellers on several continents. Because they are mostly set in and around Edinburgh, I follow Rebus’s cases with a detailed map of that fascinating city handy. 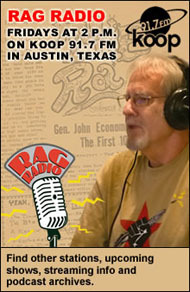 My wife and I heard Rankin speak a few years ago, when he revealed an amusing fact. When he wrote the first book, Rebus was 44 years old, and he aged in real time over the next 21 years, until he was 65 — the age when Scottish police inspectors have to retire. A fan who was a minister in the Scottish parliament didn’t want Rebus to retire, ending the series, so she introduced a bill raising the retirement age for Edinburgh detectives to 70. The actual detectives were outraged at the idea that they might have to work five more years — because of the pending retirement of a fictional character. I recently learned that a new Rebus novel, Standing in Another Man’s Grave, is due out soon. 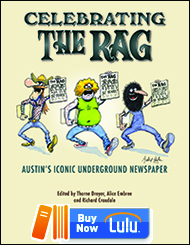 This entry was posted in Rag Bloggers and tagged Alan Waldman, Criticism, Mystery Novels, Rebus, Scottish Television, Vintage Television. Bookmark the permalink.